I recently wrote a short piece about the three new Casio digital pianos shown at this year’s Summer NAMM show. 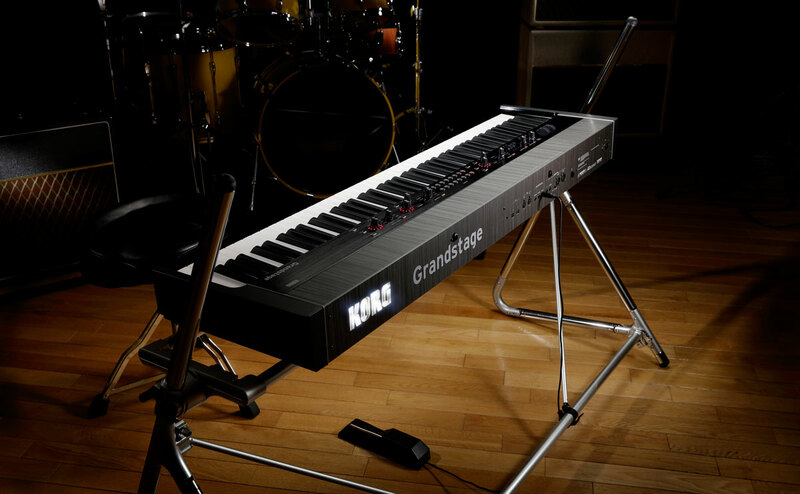 But Korg also announced a new digital piano—the Grandstage. A prototype was, in fact, shown earlier this year at the Winter NAMM show. The Korg Grandstage 88 Stage piano in situ. Whilst the Casios were upgrades of existing models, the Grandstage is an entirely new product line. 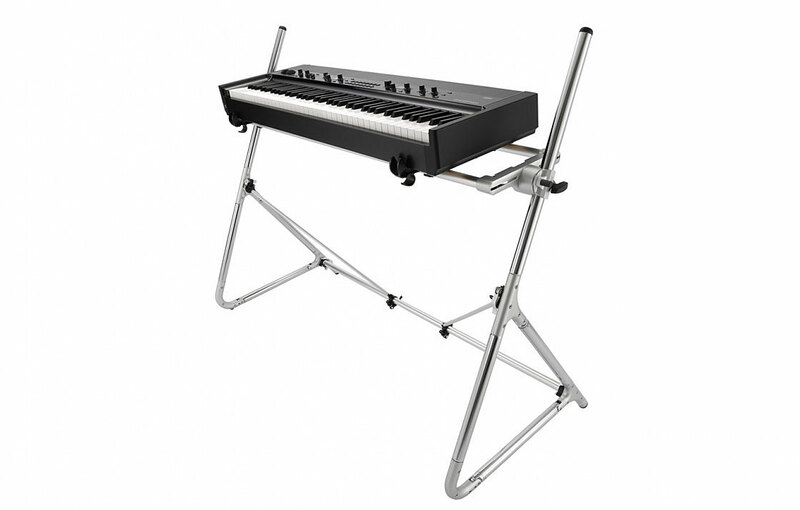 Korg are initially releasing two models, these are both professional stage pianos, equipped with either 88 or 73 note keyboards. The Grandstage is a premium quality instrument, which combines “multiple [sound] engines, numerous piano sources, and beauty in both form and function for live performers” Korg’s words. The Grandstage utilises multiple sound engines to generate a wide range of instruments and abstract sounds. The SGX-2 engine is the source of the instrument’s acoustic pianos. This engine recreates the sound and characteristics of five different grand pianos originating from; Berlin, Heidelberg, Austria, Japan and Italy. You can probably make a good guess as to the exact instruments suggested. The timbral inventory also includes a newly sampled upright piano preset. An EP-1 sound engine provides six vintage electric/electronic pianos, whilst the CX-3, Vox, and Compact engines recreate what we would recognise as Hammond, Vox Continental, and Farfisa Compact Duo simulations (although again, probably for legal reasons, they can’t actually use the inspirational brand names). There are also two synthesizer sound engines, and altogether the Grandstage offers around 500 different programs. Very little of the Grandstage’s interface is menu driven, enhancing its position as a live instrument. Take a closer look by clicking on the above image and zooming in. A Grandstage piano with A-frame stand. The Grandstage won a “Gotta Stock It” award at the aforementioned summer NAMM show. The NAMM show is primarily for manufacturers and music store dealers. A select panel of judges from the industry highlighted the Grandstage as a an extremely desirable product, and one they considered would sell particularly well—hence the award. Far more information of the Grandstage can be found on the Korg website. And here you’ll discover more about the NAMM Show awards. Piano Sanctuaries. Good or Bad?